WHAT ON EARTH IS HAMPOLISH? WHAT THE HELL IS A HAMPOLE? The mixture of those two words give you the word HAMPOLE. The story behind that? Bear with me here. My lovely friends Natalie, Steph and Gladys (for further information about them please refer to http://non-stophampolishnonsense.blogspot.com/2012/02/hiladysliederene.html) oh so kindly told me that i look like a cross between a hamster and a tadpole. EXACTLY. HOW DO TADPOLES LOOK LIKE RIGHT. I guess to my friends i look like this. 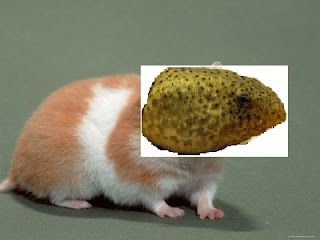 Ok i'm horrible at photoshop but hey, at least i managed to put a tadpole head on a hamster body. So this gave me the brilliant idea to use that newly invented word to describe my blog. Thus, NON-STOP HAMPOLISH NONSENSE WAS BORN! 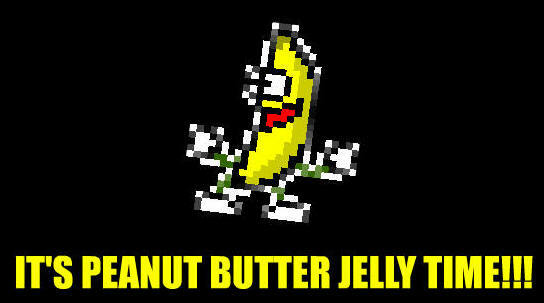 So next time you decide to visit my blog, remember this face. However, if you decide not to, it's alright. Just remember this sad, pathetic face of mine.